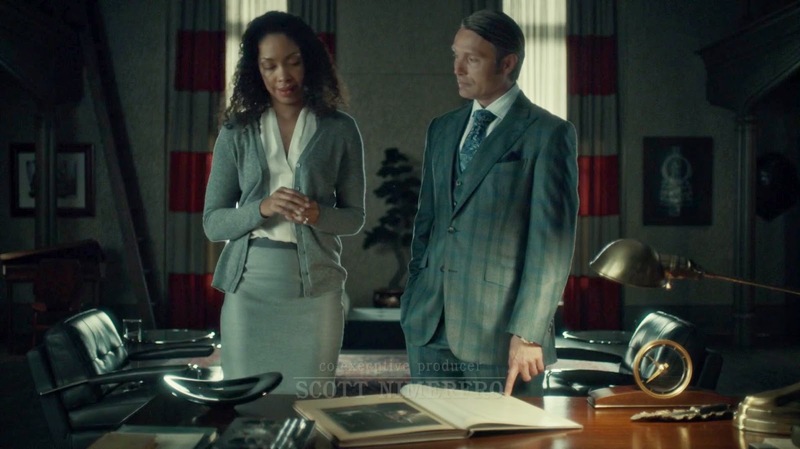 Hello, Tailor: Costuming and design in Hannibal: Bella Crawford, between life and death. Costume design and narrative in film & TV. 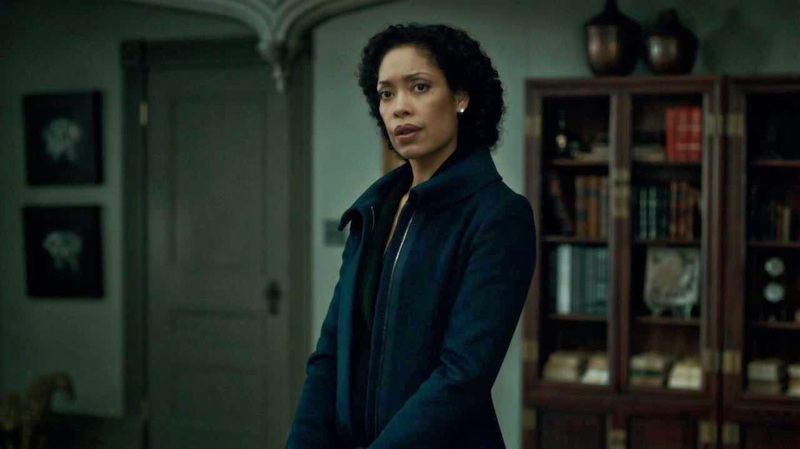 Costuming and design in Hannibal: Bella Crawford, between life and death. Previously: Costuming and design in Hannibal, Part 1, Part 2, and Part 3 (Hannibal's wrist watch. ), Part 4 (Abigail Hobbs). 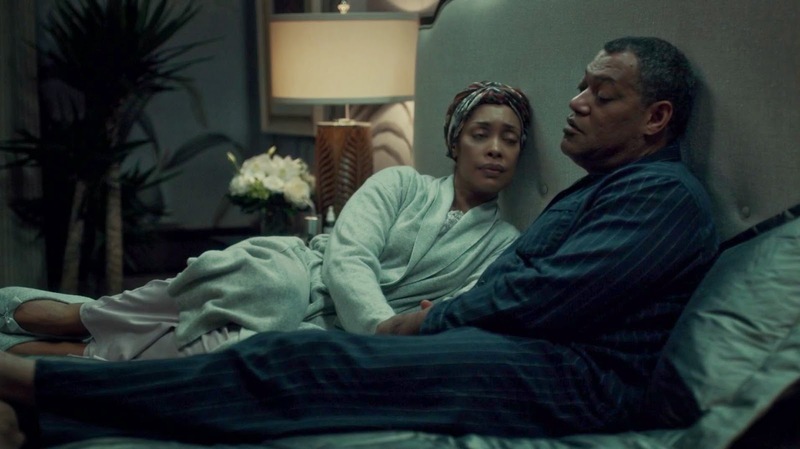 I already mentioned in my first Hannibal costuming post that the FBI team dress like characters in a crime procedural drama, while people like Hannibal and Bedelia du Maurier seem to come from another universe entirely. 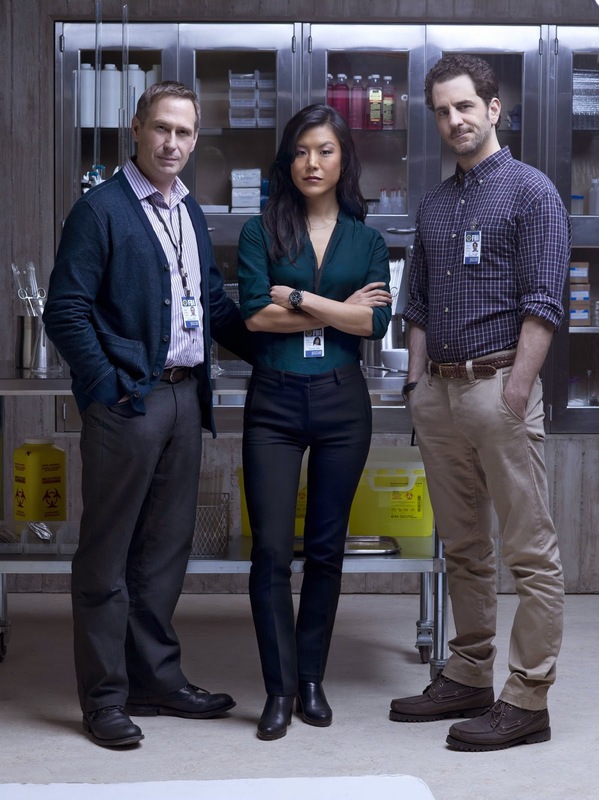 The main visual difference between the FBI lab team and your average CSI character is that they wear vanishingly few monochrome outfits. The only character in the show who habitually wears black and white is Bella Crawford. 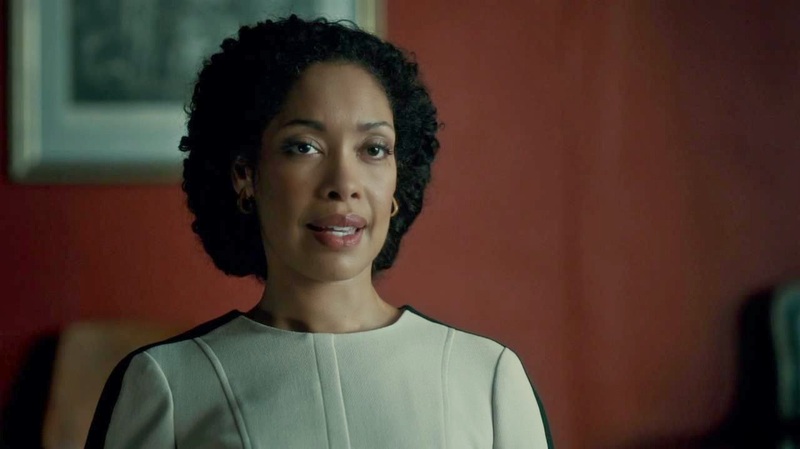 In her first appearance in "Coquilles," she's wearing a pure white dress to a dinner party with Hannibal and her husband. 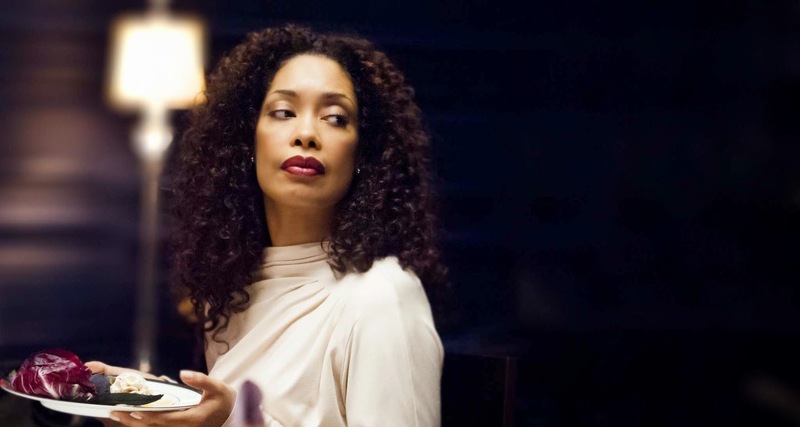 In the darkness of Hannibal's dining room, she stands out immediately, and the draped style of the dress makes Gina Torres look like some kind of ancient Greek deity. Bella's next outfit highlights the white dress from earlier, for reasons that don't become apparent until we see her from another angle: white at the front, but black at the back. Black and white are both associated with death, although in this context I think the stark contrast uses white to represent the healthy "front" she shows to the world, with black representing the darkness of lung cancer that hides behind her facade. Either that, or it's the shadow that will soon catch up with her, and has already overtaken some parts of her body that we don't notice at first glance. She is half in the world of the living and half in the world of the dead, although interestingly she is one of the very few characters who isn't put in the Hades/Persephone position of eating Hannibal's "pomegranate seeds." For obvious reasons, this show is riddled with imagery to do with death and the afterlife. However, while most of the time it's something related to the viscerality of material death (i.e. the skulls and horns decorating Hannibal's dinner table, or the crime scenes we see in every episode), Bella is the one character whose appearance uses symbolism associated with the more spiritual side of death: light and shadow, black and white. As someone who is mostly unconnected to the day-to-day events of the FBI and the world of serial killers, she is "pure," and is also the only character who is poised for a natural death. At home with her husband in "Coquilles," she's back to wearing paler shades: a leopard-print robe and nightdress which the eagle-eyed costumesofhannibal blog pointed out could potentially resemble a pattern of "free-floating cancer cells." Her final appearance in this episode is the scene when she comes clean to Jack about her lung cancer, at which point she has transitioned over to a severe black outfit: mourning clothes. The next time we see her is in "Takiawase," by which point she's in chemotherapy and is far less put-together than before. We already knew that Bella is very much attached to her dignity, and all of her outfits in "Coquilles" showed her to be mature and poised. Her appearance in "Takiawese" is an obvious progression from that. Although she retains the same sense of style, she's wearing a soft cardigan that would look more appropriate on an older, frumpier woman. She's also wearing pale grey: fading from life to death, or from light to darkness. She is still the only character to wear truly monochrome outfits. Even Hannibal's "grey" suits are always shot through with threads of other colours, or accessorized with a patterned tie or pocket square. Another detail to note in this scene is the lighting. In their first session in Hannibal's office, the curtains let in far more daylight, and everything was much clearer. 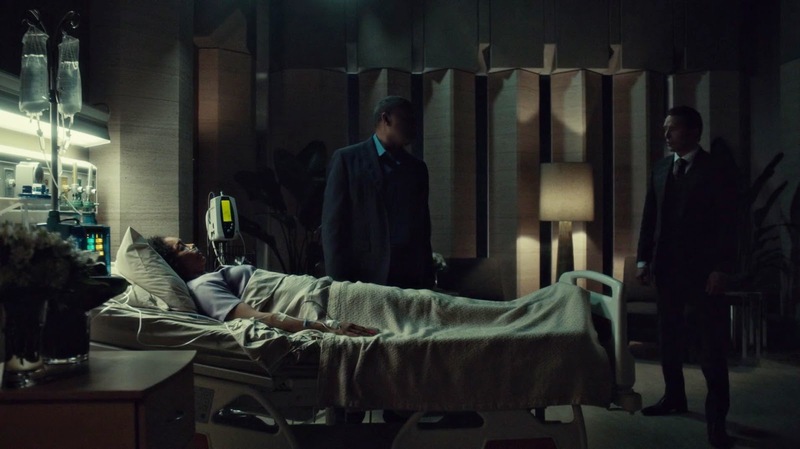 This time round, Hannibal's inner blinds seem to be at half-mast, giving everything a slightly murkier feel. 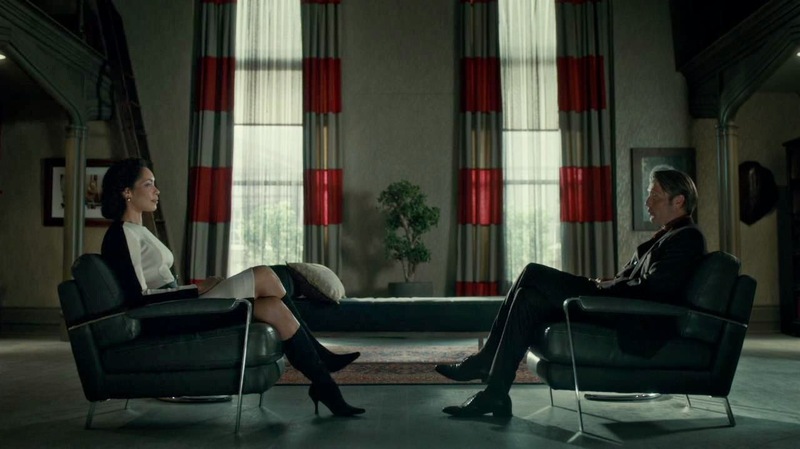 Lighting is always used to great effect in this show, particularly in scenes that take place in Hannibal's office or Bedelia du Maurier's house, both of which have huge windows and multiple artificial light sources that can cast the characters in and out of shadow. 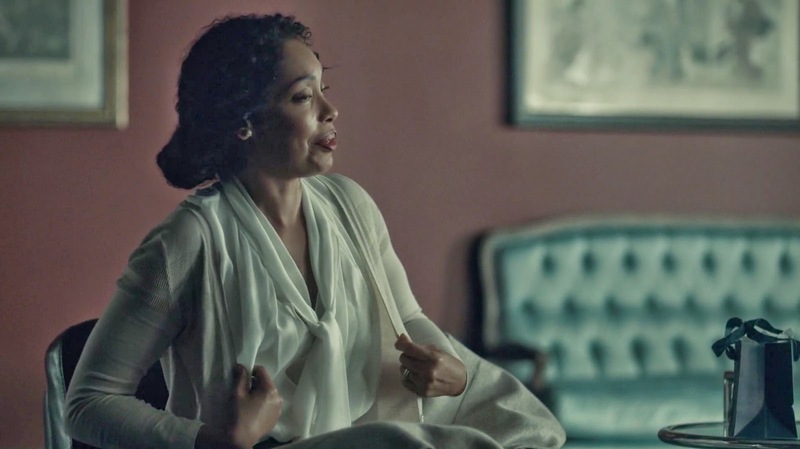 For her suicide scene in Hannibal's office, Bella wears a softer version of her cardigan outfit from earlier on, this time with a pale beige cardigan and a shroud-like blouse. The office is in complete daylight once again, rather than the half-dark of the earlier scene. 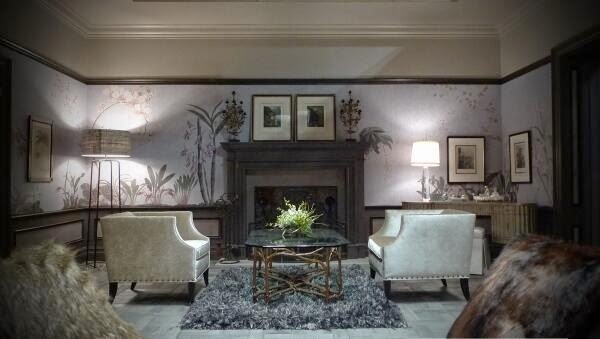 In Bella's hospital room scene, the set design is far more important than costuming. Bella is shot like the serene corpse of a medieval saint or queen, lying in state or depicted as a marble statue on top of her final resting place. 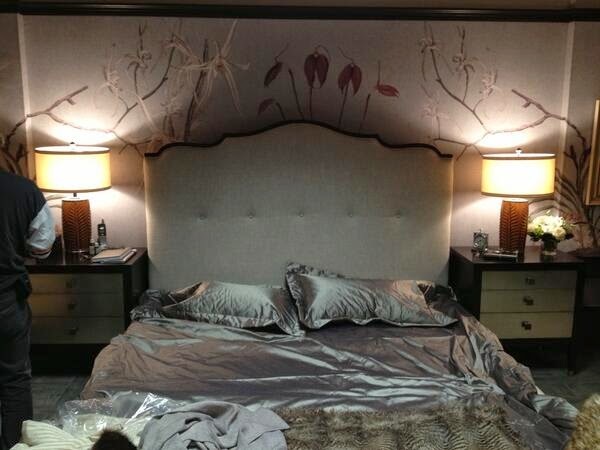 Meanwhile, Hannibal lurks in the shadows at the foot of her bed. 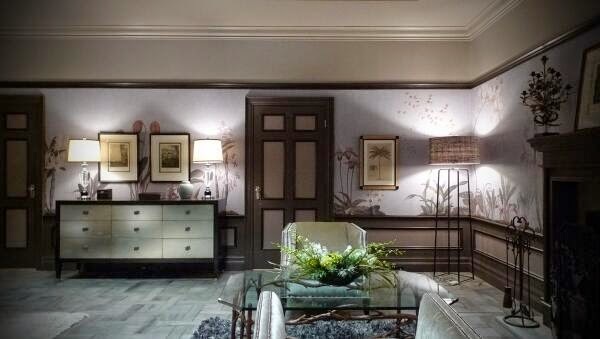 Although Jack said in an earlier episode that Bella was trying to avoid their house looking like a hospital room with too many flowers, the colour scheme and potted plants in Bella's real hospital room bear a startling resemblance to the Crawfords' home decor. Dressed in hospital scrubs, Bella edges ever closer to the loss of dignity she feared after her first diagnosis, while Hannibal is back in control once again. As Dr Chilton said last season, sometimes saving a life is as arousing as taking one. This series of posts has been fantastic. Thanks so much! Brilliant series of blog entries. Congratulations. Looking forward to more. Really enjoyed these posts so so much! Wish there were more. Was referred here from Clothes On Film. That was two hours ago. Fantastic posts generally; specifically the Hannibal posts make me want to watch the show again from the beginning. Order your drugs from **Amazing Online Pharmacy** with discount and free delivery to your destination, no prescription required to purchase, tracking available, quality Opioids, opiates, stimulates, depressance and many other products on stocks. my suppliers are legit, reliable and my service have no match with competitors. ordering from us, you will enjoy different many advantages that comes with my packages. - Overnight shipping within USA, to Australia, Canada, UK, Germany, Sweden, SPAIN New Zealand, Etc. - Oxycodone - Oxycotin - Roxycodone - Methadone - Cialis - Viagra - Klonopin - Percocet - Fentanyl patches - Mandrax - Nipam - Lexotan - Subutex - Nembutal - Xanax - Onax - Rivotril - Ativan -hentermine - Ambien - Opana - Ritalin - Hydrocodone - Acetaminophen - Alprazolam - Tramadol - Adderall - Codeine - Demerol - Soma - Ibuprofen - Arimidex - Actavis Promethazine with Codeine purple cough syrup + 400 different drugs on stock. discrete & secure means of delivery express Delivery Available with UPS,FedEx,EMS(1-5 days delivery) Overnight shipping within USA, to Australia,Canada, UK, Germany, Sweden ,SPAIN New Zealand, Etc. If you are an authority or cops, don't wast your time contacting us , because you will get no details from us( you can't trace or monitor our activities because we are anonymous, smart and invisible). if you are a legit buyer, get back to us. Hello, Tailor is written by costume design critic and geek culture journalist Gavia Baker-Whitelaw. You can browse my masterlist of review posts here. Skyfall: the new Bond Girls. Agents of SHIELD: It's actually good now! ?